Your kids will love all they can do with the LINSAY tablet — play games, stream children videos, read eBooks and communicate with friends and family. They can even grab fun selfies with the built-in front camera. Those long car trips just got shorter. Bought two of these for my 8 and 9 year old. Both are still working perfectly and have taken a lot of abuse!! 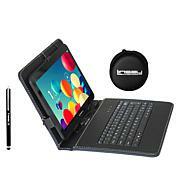 I would definitely recommend these for starter tablets! 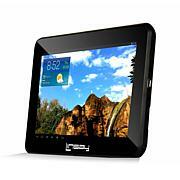 Ordered This Tablet Linsay 10.1 Kids Tablet for my 6 year old Grandson 7/17,He Found it Very Easy to use and Play on! He Loves it and I Will Forever purchase there Products! Wonder if the kids will ever come up for air?!! I'm such a good Great Aunt to three of the most wonderful kids in the World! 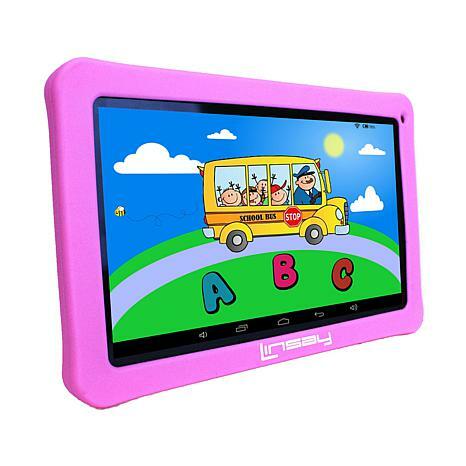 I sent each one of them each one of these tablets... from what I hear, the colors and sturdiness of the cases are worth every red cent!! Their ages are 10, 5, and 3. Hard to find an item that covers that range of ages... all by itself, too!! Games, LEARNING GAMES, galore!! Play and Learn Spanish. Or French. Math... Science Projects ... what's not to like here?? The fact, too, that it can take a fall... So worth the money! !